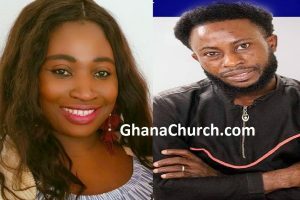 According to GhanaChurch.com analyst, many people thought English was born in UK, grew up in USA and died in Africa but NOT with Papa Nic, because Archbishop Nicholas Duncan-Williams with Apostolic anointing, speaks with power and authority from above. The founder of the Christian Action Faith Ministries (CAFM), Archbishop Nicholas Duncan-Williams, affectionately called ‘Papa’ by his congregation, has bemoaned that some Pastors he nurtured and mentored are not only competing him, but also plundering his resources and scattering his followers. The renowned Charismatic preacher, however, singled out Rev Eastwood Anaba, founder of Eastwood Anaba Ministries (EAM); Bishop Dag Heward-Mills, founder of Lighthouse Chapel International and Rev. Dr Robert Ampiah-Kwofi, General Overseer of the Global Revival ministries as a few of the “sons” he nurtured, whom he is proud of. “I have so much competition that it is amazing. When I landed here 25 years ago, there was nothing here. From shoprite all down to Sakumono junction, there was no church here. There was nothing here. They were offering me lands and I wasn’t interested because I didn’t even like coming here because I came out of [a] city to this place, and I lost about over a 1,000 people to other churches so I wasn’t interested in getting more lands. “Today on this Spintex road, if you add East Legon, we have over 380 charismatic churches and it’s not because God told them to plant churches here, it’s all about me: Action [Chapel] and Duncan-Williams. They must compete with me and share the souls. Fine, no problem. Get them born again. But if it is souls they are winning, then it’s good but some of them, they are not winning souls. They target people in my church. They target people in other people’s church…” the Charismatic preacher said Sunday October 12, 2014 in church. Duncan-Williams who has been in the charismatic movement for 38 years said he has no problem if his proteges want to emulate him, but noted that they must have a clean motive in their aspirations to be like him. “Now there’s nothing wrong to be like me, but if the motive is to outshine me and to compete with me, then it is wrong. But if you wanna be like me because you admire me and you wanna be like me for the good of others and to advance God’s kingdom, fine. I have a lot of sons who I learn from. I have a lot of sons I raised and I trained who are doing so well than I’m doing in many areas of life and I’m very proud of them. Like Bishop Dag. Bishop Dag has more churches than me. He’s written more books and I’m proud of him. He was just here a few days ago. I’m proud of him, I love him, I want him to succeed. Eastwood Anaba is a son, I led him to Christ. I prayed for Eastwood and I said: ‘Eastwood, start writing books’. He said: ‘Me?’ and I said: ‘Yes, there are books in your stomach’. And I laid hands on his stomach; he’s written more books than me. I’m happy for him, he’s a son, Ampiah-Kwofi, so many of them. I ‘m happy to see my sons doing well and better than me, that is what every father desires. But I detest sons who want to outshine me and compete with me. I see you as a Luciferian. Just a matter of time, you’ll fall”, he said. Duncan-Williams likened the stabbing behavior of his “sons” to that of the biblical prodigal son who demanded his portion of his father’s wealth and squandered it. He said they were no different from the biblical character, “who had formed and developed his life’s principles on what his father had accomplished, and didn’t care about what happened to his father if he took a portion of the investment away that it could collapse and destroy everything his father had worked for”. Adducing more anecdotal evidence to buttress his accusation against some of the “stabbing” pastors, Duncan-Williams said: “When I went to Abidjan, there was no charismatic church there. The Ghanaian pastors I took to Abidjan, they all broke away and started their own church. None of them has accomplished anything after they scattered me and took half of the inheritance away, and they are still marking time, and they tell people that: ‘Papa has cursed me’, and I say: ‘Where did I curse you and how did I curse you?’ I took you there when you had nothing, I say: ‘let’s go build and win souls. When the thing cool, instead of you to help me so we can build and we can all benefit [from] it, you divided it, took your portion and went away. And because you took your portion and went away, somebody too divided you and scattered you, and went away and you said I’ve cursed you. How did I curse you?” he wondered. Continuing, he said: “Same thing in Benin. We’re the first charismatic church in Benin, Cotonou. The Ghanaian pastors I took there, they also divided me. Scattered me. All these years, we are now buying a property in Benin. We have 13 branches there, only one or two have their own churches. The main church, we are now looking at buying a property now. Two million dollars, I have to find ways and means to raise money to buy it while monies have come through their accounts. Selfish people. They plundered me and I don’t have to talk because when I talk they’ll go around telling people I’m a wicked father and then you have all these people who are in the church who don’t understand that loyalty is to the head and they think loyalty is to follow people who are gifted and anointed”. According to him, “Selfish people are independent people. They always want to breakaway, they always want to move on, they always have the next move, God is always telling them to do their own thing”. He, however, said: “If you are a true son and a true daughter of the house, you will help your father to build, you won’t scatter what your father has built”.